There’s a sense of adventure in the newly-crisp air, which means it’s time to head south. We’ve curated your fall Baja checklist with some of the best things to experience on the peninsula. How many items will you check off this season? If you still haven’t experienced the whale sharks, this is the year to do it. The best two places on the peninsula to encounter these giant fish are Bahía de los Ángeles, where the season runs about July-November, and La Paz, where the season runs from October-spring. In Bahía de los Ángeles, the whale sharks are mostly in the southern bay of Rincón and you can kayak out into the bay on your own or you can hire a local panguero to take you out (read more details in Graham Mackintosh’s whale shark experience in BDLA). 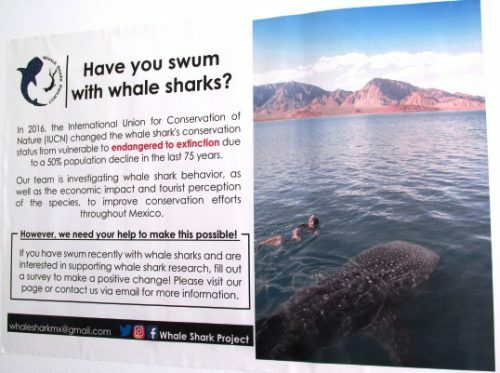 Alternatively, in La Paz you’ll need to go out with a tour company in order to see the whale sharks. Any of the boating/snorkeling companies now offer whale shark excursions. While Northern Baja usually gets all of the attention for its incredible culinary scene and farm-to-table campestre dining, Los Cabos is beginning to keep its own with some key restaurants and famous Mexican chefs leading the way. Flora Farms, Los Tamarindos, and Acre are leading up the farm-to-table al fresco dining experience. And famous chefs from other parts of Mexico have restaurants in Los Cabos like Chef Enrique Olvera with Manta and Chef Benito Molina with La Revolución. For groupies of Baja California Chef Javier Plascencia, rumor has it that he’s going to be opening a restaurant in Cabo after his success in Baja Sur with Jazamango in Todos Santos. 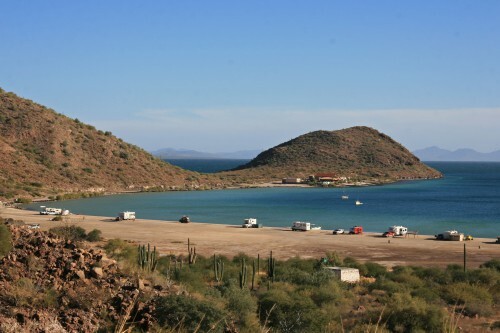 Spend a day learning about the indigenous peoples of Northern Baja. Start in Tecate at the Tecate Community Museum where you’ll learn about the Kumeyaay and how they lived as the original inhabitants of the region. Then, continue south to Valle de Guadalupe for an incredible dining experience at Koipai Cocina (formerly Nativo) by Chef Gilberto Morales. Koipai Cocina serves food inspired by the indigenous natives and uses only local, endemic ingredients. Currently located at Pijoan Winery, this pop-up restaurant moves to a new winery each summer. Hurry because Koipai closes for the season in mid October. If you’ve always wanted to live out your own ”Shark Week” experience, now is the time to do it. Fall is the season for diving with the great white sharks at Isla Guadalupe—a remote island located 160 miles off the coast of Northern Baja. Liveaboard trips with companies like Islander Charters offer 5-day all-inclusive trips that depart from San Diego. There’s perhaps no more picturesque area on the peninsula than the stunning Bahía Concepción. White sand beaches and turquoise bays lure snowbirds and travelers once the heat of summer has passed. There are plenty of options for camping on the many beaches, and outdoor activities such as kayaking, snorkeling, paddle boarding, and hiking will sufficiently fill your days. Read Carla King’s Guide to Bahía Concepción for more insider information on what to do. The summer heat is dissipating, the Vendimia crowds are gone, the harvest is still in full swing—fall is one of the best and most underrated seasons to visit the Valle de Guadalupe. With over 150 wineries and a multitude of dining options, there are more and more incredible places to check out every time you go down. 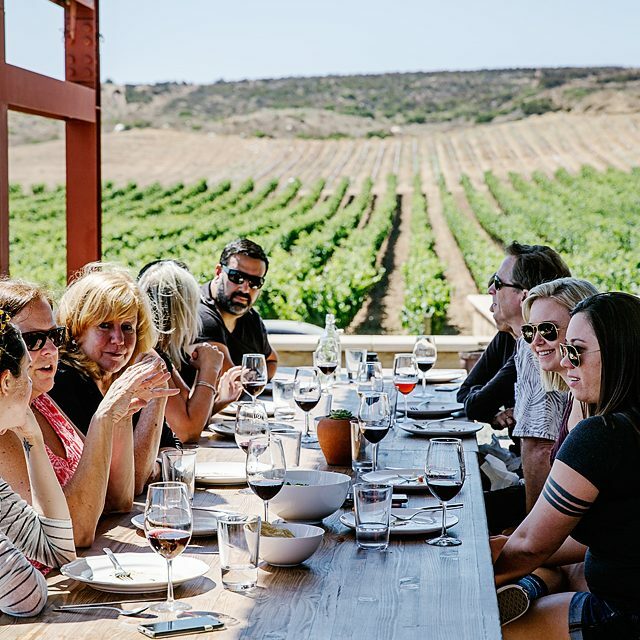 If you want to enjoy drinking and leave the driving (and planning) to someone else, the experts over at Baja Test Kitchen are connoisseurs of the region and offer both public group tours as well as custom private tours. It’s one of the most well-known islands of the peninsula, and yet most visitors have only visited Isla Espiritu Santo via day trips. And a large precent of those day-trippers have never even stepped foot on the island—only visiting to swim in the waters with the sea lions at the island’s famous Los Islotes. But now Todos Santos Eco Adventures has Camp Cecil with luxury glamping giving travelers the opportunity to stay on the island and truly experience everything it has to offer like rock art, hidden lagoons, and deserted beaches. There are so many beautiful and remote regions for hiking in Baja. 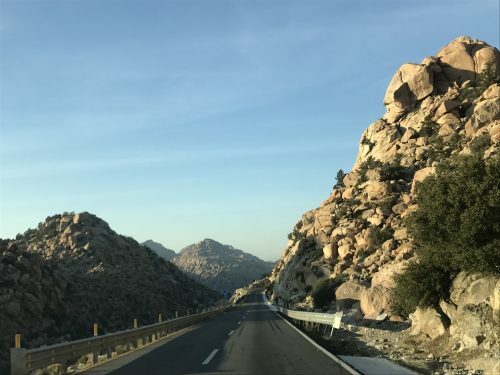 With pine trees and the highest peak on the peninsula (Picacho del Diablo at 10,157 feet), many experienced hikers enjoy the Sierra de San Pedro Mártir Parque Nacionál in Northern Baja. If you’re looking for a multi-day trek to waterfalls and lush mountains, then venture into the Sierra de la Laguna. 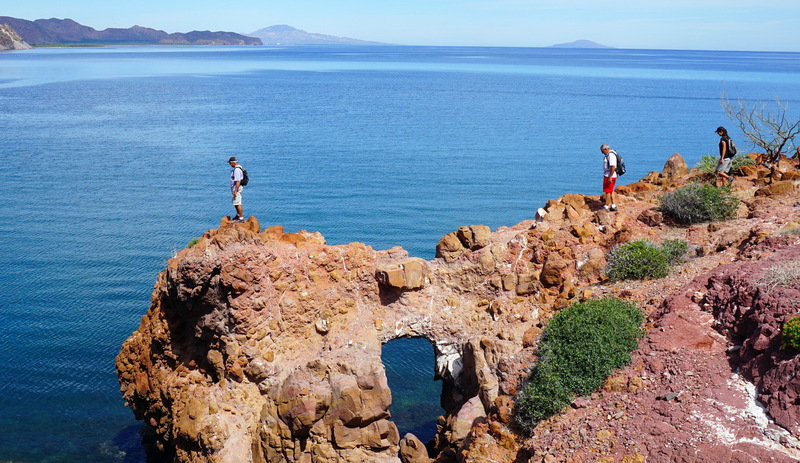 Or, if approachable day hikes are more your speed, pick up a copy of Hiking Loreto, a guide that describes over 60 hikes that take advantage of Sea of Cortez views and the beautiful Sierra de la Giganta around the Loreto area. The ever-evolving art scene in Northern Baja is now becoming easier for visitors to experience. 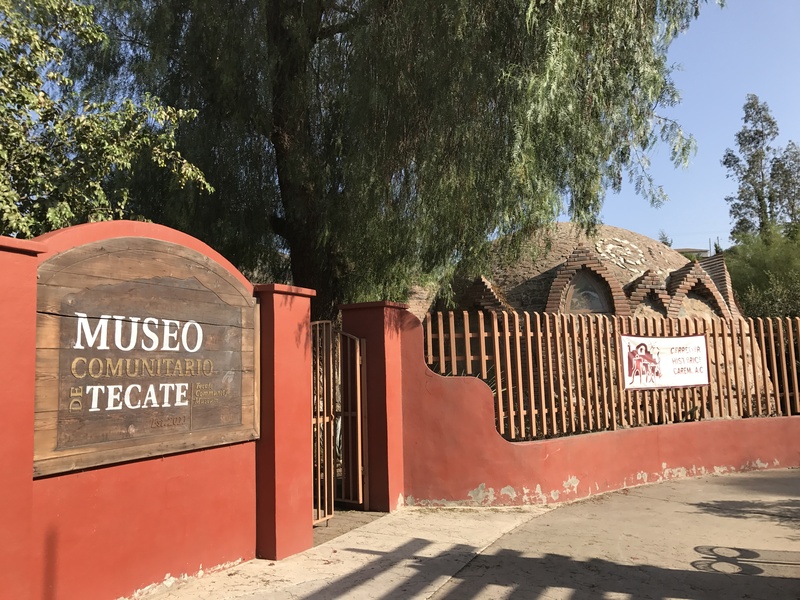 Rosarito’s new Ruta del Arte has brochures that map out all of the artist galleries in the city so that you can get to know the local artists. Tijuana’s Entijuanarte event October 5-7 is the largest independent art festival in Northwest Mexico and features art, music, theater, dance, cinema, and literature. For those with a grittier art appetite, there are plenty of examples of beautiful street art throughout Rosarito and Tijuana. With temperatures cooling off, it’s a perfect time to take a drive through the impressive La Rumarosa area (between Mexicali and Tecate), where the mountainous rock formations provide a memorable and scenic drive. Near the actual town of La Rumarosa, you’ll find cave paintings that are some of the easiest to visit on the entire peninsula—El Vallecito. It’s worth it to spend a few hours making the two-mile stroll through the five rock art sites. We are moving to Baja Norte ( not exactly sure where yet) around this time next year, we have a fifth wheel travel trailer and are looking forward to exploring Baja and other parts of Mexico before we commit to our new place. I always enjoy learning from those who have gone before me in any endeavor I choose, moving to Mexico is no exception.